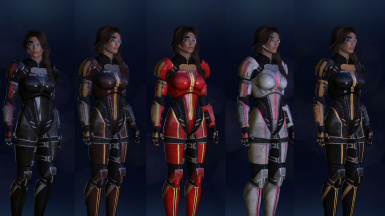 Adds a customizable version of Ashley's armour to FemShep's armour locker. It can be tinted justed like the N7 armour. Two body variations. 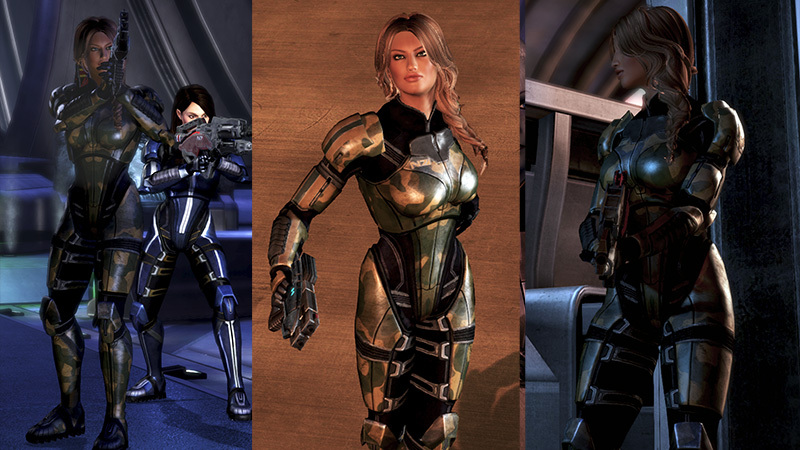 This mod adds Ashley's armour to Shepard's armour locker. 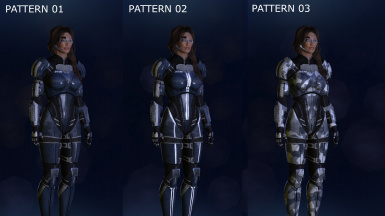 You can customize the colour and pattern just like the N7 armour. 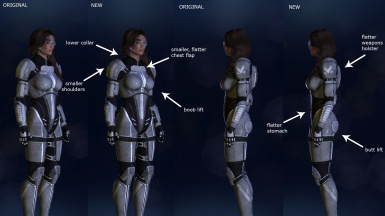 IMPORTANT: This mod is included in ElysiumFic's amazing FemShep's Armory DLC Armor Mod. If you already have that, you don't need to download this. This is just a standalone version. This is a collaboration between ElysiumFic, Ottemis: Queen of HR textures and myself. When she so graciously repackaged my last mod as a DLC, ElysiumFic came up with the idea of making a customizable version of Ashley's armour. 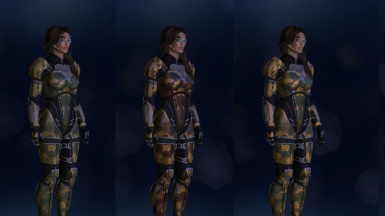 I didn't have all the necessary textures like I did for my Asari Adept mod so I worked with Ottemis who provided the base textures and I worked on them and created the new missing ones to create a tintable version of Ashley's armour. I made a few edits to the original mesh to give it a sleeker design (old mesh and new are both included as options) and ElysiumFic repackaged the whole thing with her DLC wizardry that I'm too dense to figure out. The new design includes the N7 logo on the right lapel and the SPECTRE logo on the left shoulder. You can see the mesh changes in the images. 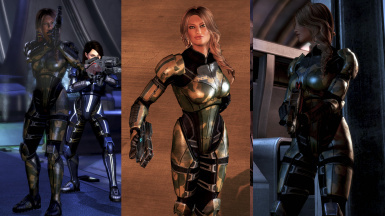 I would like to point out that I am not making any sort of judgement on Bioware's female body shape or ANYONE's body (male or female) whatsoever. I just wanted a sleeker look because the armour is quite bulky. If you're not a fan of the changes, you can still use the old shape. If you have not already done so for another mod, you need to install the DLC patcher. You no longer need to add blank legs, arms and shoulders to your coalesced as this is done for you. You can still change the bonuses by editing the DLC coalesced. The default bonus is a 10% health bonus for each part.